Isn't this a sweet image? 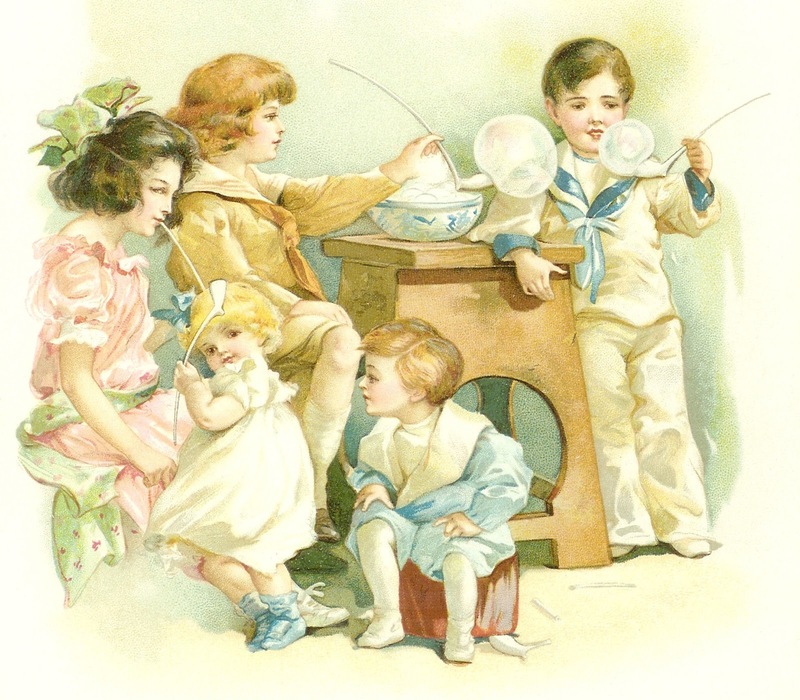 This beautiful vintage image of children blowing bubbles through long pipes is from a baby book. Wouldn't this be a wonderful decoration on a party invitation or gift tag? Enjoy!